Time is precious. So when enhancing your deep immune health is your top priority, take action toward triumphant results with Cell Forte IP-6 & Inositol. This special blend of IP-6 and inositol helps give you the power to prevail by delivering scientifically-studied, exceptional support for the most critical cells in your immune system. The combination of ingredients in Cell Forte IP-6 & Inositol boosts the body’s natural cellular defences by increasing the levels of inositol phosphates in your cells, natural substances found in your body to help enhance the immune system. Triumph with the powerful protection delivered exclusively by Cell Forte IP-6 & Inositol. It’s time to take serious action toward defending your deep immune health naturally with the powerful protection of Cell Forte IP-6 & Inositol, the leader since 1998. 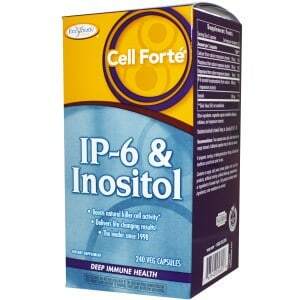 For maximum effectiveness, IP-6 (found in the bran of brown rice) and inositol (part of the vitamin B family) are featured together in a unique, powerful ratio found only in Cell-Forte IP-6 & Inositol. 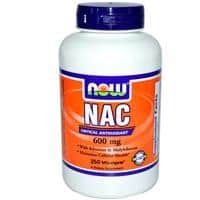 Recommendations: Two capsules twice daily. Best taken on an empty stomach. Additional capsules may be taken as needed. Contains no sugar, salt, yeast, wheat, gluten, corn, soy, dairy products, artificial colouring, artificial flavouring, preservatives, or ingredients of animal origin. This product contains natural ingredients; colour variations are normal.